Think daylight would look great in your home, but not sure where to start? Take the first step with a free, in-home consultation. During this educational, no-obligation session, one of our knowledgeable daylighting experts will listen to your needs, recommend a customized lighting solution, perform a feasibility check, and provide you with a no-hassle quote. If you love what you hear, there’s no need to schedule a second appointment. We’re equipped to install your new daylighting system right then and there. We don’t like to keep people waiting. At the Natural Lighting Company, we’re ready for anything. That’s why our factory-certified installation consultants carry the full line of Solatube products on their vans at all times. Want to get your new daylighting system installed today? We can do that. Eager to see all your Solatube Decorative Fixture choices? We can do that. Hoping to upgrade your system with a Daylight Dimmer? We can do that. Now here’s the best part: installation can usually be done in about 2 hours with no messy drywall or paint repair, structural changes or re-roofing needed. It’s pretty much the easiest home improvement project you’ll ever take on. We understand the needs of contractors because we’re contractors too. Our staff is trained to meet the unique project needs of design and construction industry professionals by providing the following trade services. Our goal is to make your daylighting projects simple, smooth and successful. It's our way of looking out for our fellow contractors. No secret handshake required. We know what you’re thinking. Daylighting sounds great, but what’s it going to cost? Fair question. Our answer: less than you might think. You’ll find our basic pricing for single units below, but you’ll get a more detailed estimate during your free, in-home consultation. And here’s a tip: see our promotions below. We usually have one going on that will make any option you choose a great deal. Standard installation and materials, prices as low as $575.00. In-stock Do-It-Yourself (DIY) kits, prices as low as $275.00. Universal light kit installed $155.00. DIY universal light kit $50.00. Daylight dimmer installed $395.00. DIY daylight dimmer $195.00. Bathroom ventilation kit (160 DS only) installed $395.00. DIY Bathroom ventilation kit (160 DS only) $195.00. It may sound contradictory, but the sun can keep you cool. 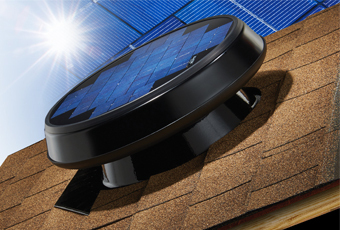 Our Solar Star Attic Fans use the sun’s energy to vent heat from your attic. You’ll get a more comfortable home without paying a dime for electricity. Now that’s pretty cool. Even cooler is their affordability. See our single unit pricing below, and don’t forget to ask about our cost-cutting promotions. Qualify for a 30% Federal Tax Credit. In-stock Do-It-Yourself (DIY) kits, prices as low as $500.00. If you're looking for the ultimate lighting solution, look no further than the Solatube Smart LED System to provide free daylighting during the day and energy-efficient LED lighting at night. The best part is this Smart LED System detects when daylight wanes and automatically activates LEDs. Make your system smarter with the optional occupancy sensor. Standard installation and materials, prices as low as $775.00. In-stock Do-It-Yourself (DIY) kits, prices as low as $455.00. Everyone likes to get a good deal. We like to offer them. See just how much you can save with one of our special offers below. All day long. All year long. Thank you for purchasing a Solatube Daylighting System featuring breakthrough technology for higher performance. Solatube International, Inc. guarantees that when using the Natural Effect Lens**, the 160 DS and 290 DS Daylighting Systems deliver more Average Daily Light on an Annual Basis (as determined by the methodology set forth below) than other passive tubular daylighting devices having the same “L over D ratio” (as defined below) that are widely commercially available on the market at the time of your purchase. We are totally confident that no other product offers the total annual performance of a Solatube product. We will give you YOUR MONEY BACK (retail purchase price) if you find such a product. Guarantee offer applies only to products purchased for personal use. Offer is only valid for products assembled and installed according to manufacturer’s specifications. Offer excludes new products manufactured by Solatube International, Inc. The guarantee excludes all other products, except Solatube 160 DS and 290 DS products, manufactured by Solatube International, Inc. Offer expires one year from product purchase date. The ADLAB is determined by measuring the light output of a system at each hour during daylight hours on the 21st day of March, June, September and December. To determine the ADLAB, these measurements are then added together and divided by the total number of measurements taken. To compare ADLABs, the systems compared must have the same ratio of Length of daylighting tube divided by the Diameter of the tube opening. This is called the “L over D ratio.” Testing must be completed by a certified testing agency. If you believe that you have found a qualifying product that outperforms your Solatube Daylighting System, please send a written refund request with your original purchase receipt with the Solatube product circled, and written test results from a valid testing agency to Solatube International, Inc., Attn: Performance Guarantee, 2210 Oak Ridge Way, Vista, CA 92081. Requests must be postmarked within 365 days of purchase date. Solatube International, Inc. reserves the right to audit any testing or to retest to confirm results. This guarantee gives you specific legal rights, and you may also have other rights which vary from state to state. **The Natural Effects Lens does not come standard in all kits. Whether you call it a solar tube, skylight, circular skylight, tubular skylight or Solatube, know that we sell and install only the best quality product on the market. When you want quality done right the first time, always request a Solatube Daylighting System from The Natural Lighting Company.